Sian’s third year on the Assembly saw important victories on her two main campaigns, winning changes in policy from the Mayor on ballots for estate residents and funding for youth services at the start of the year. Sian was deputy chair of the Police and Crime Committee until May and launched a major report on women in the criminal justice system in the summer, while pressing on civil liberties issues throughout the year. And she continued working as chair of the Housing Committee to look out for the rights of renters and social housing residents, with a long investigation into the power they have over their homes. With cuts meaning at least £100 million less spent on youth support since 2011, Sian called in the Budget amendment debate for the Mayor to put new funding from business rates into youth services. 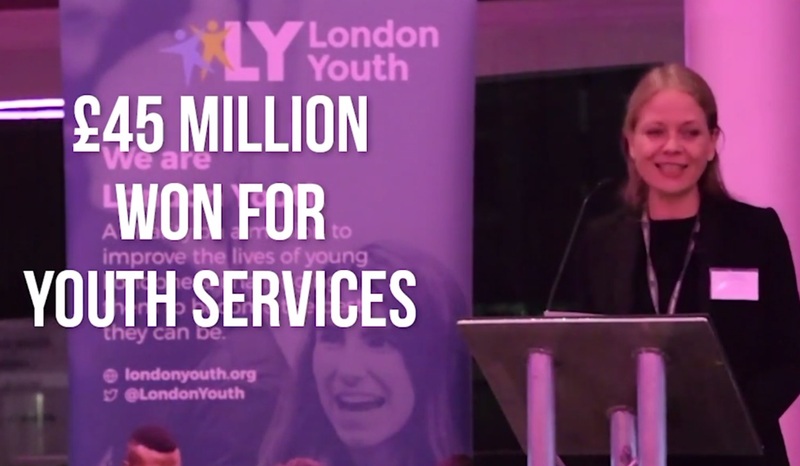 Huge win for youth services – after Sian’s long campaign exposing cuts to youth services in London, the Mayor created a new £45 million 3-year Young Londoners Fund. There were a lot of different issues the Mayor could have focused on when he realised he had this additional money to put into his final budget, and it’s clear that it was the strength of our campaigning alongside young people, and the evidence we gathered in our reports on the massive hole in youth support caused by the cuts, that made this happen. And another massive victory as the Mayor u-turns on his estate ballots policy! It’s revealed that 95 per cent of responses to his draft estate guidance demanded ballots for residents, following our campaigning with residents across London. As a result, the Mayor dramatically reverses his policy against giving residents a say, and says he will now make ballots compulsory before funding is given for demolition schemes. Sian says this should apply to planning decisions too and criticises Westminster council for going back on its previous policy and denying a ballot to Ebury Bridge residents. The plight of property guardians in London, and serious gaps in legislation was exposed by groundbreaking research speaking to guardians by the Housing Committee, with Sian as chair. 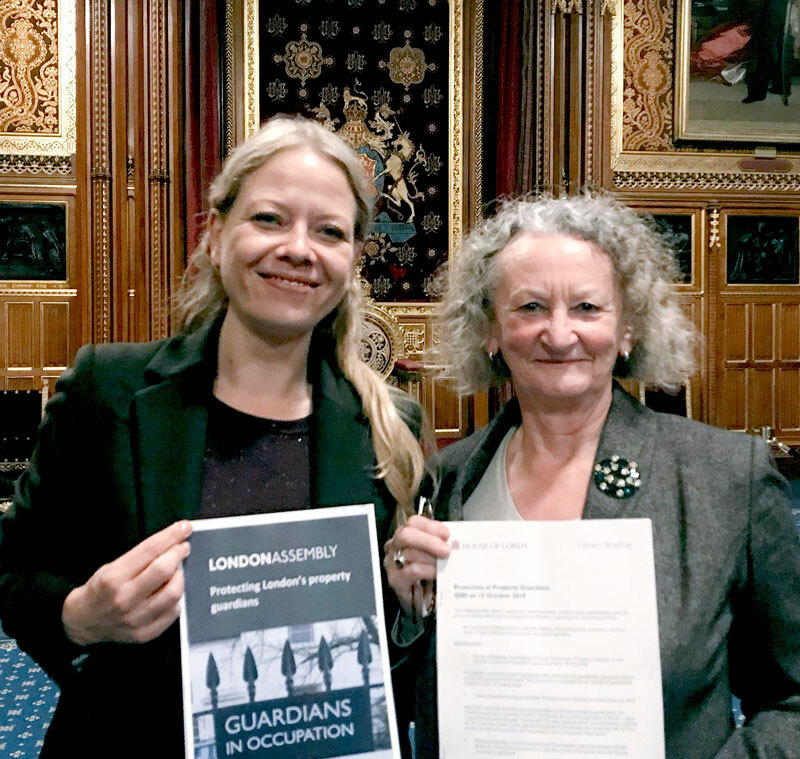 Guardianship is a fast-growing grey area in the housing market, and urgently needed scrutiny, with the majority of guardians currently living in London – later in the year the report is debated in Parliament with Jenny Jones questioning the housing minister in the Lords. Youth service cuts reach £145 million since 2011: Sian published her new report showing another year of cuts to youth services across London, and a map showing over 80 lost youth centres. The Mayor’s new funding will only help mitigate about a third of these cuts and Green AMs pledge to continue to push for more help for London’s young people. Estates betrayal: Sian took on the Mayor at MQT after he quietly signed off 34 major estate regeneration plans ahead of changing his policy to support ballots for residents facing demolition. In April Assembly business was suspended because of the council elections in London – Sian fought off a fierce Labour campaign to oust her from her seat in Highgate. Listening to Londoners living in social housing: As part of a new Housing Committee investigation into how social housing residents are listened to in the management of their homes, Sian hosted an open mic session in City Hall for residents to talk about their experiences and make proposals for change. Later in May and June 2018 Assembly business was suspended for the General Election! After the election in June, Caroline Russell urged the newly elected London MPs urged to vote against Heathrow expansion: writing to all of them as chair of the Environment Committee. Nevertheless 17 Labour MPs and 10 Conservative MPs in London voted through the Government’s new aviation plan for Heathrow in Parliament – you can read the full list here. Support for women in the criminal justice system. 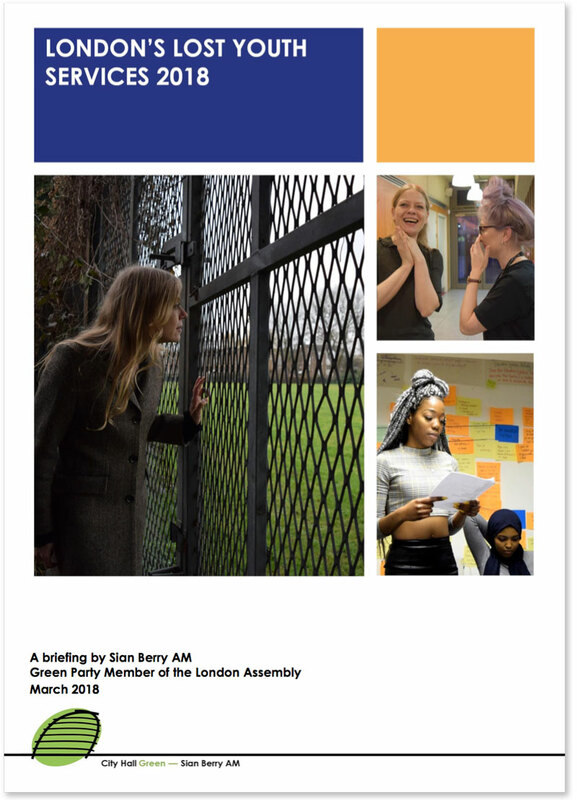 In a major report for the Police committee, Sian called for more support and new women’s centres to replace jail for women in London. Watching the watchers: Sian challenged the police over their continuing use of experimental facial recognition technologies on Londoners, while Green Peer Jenny Jones is taking legal action. Ending unfair evictions: Sian got a motion passed by the Assembly calling on the Government to scrap Section 21 that lets landlords evict tenants who have done nothing wrong. Read the motion and the Mayor’s positive response here. 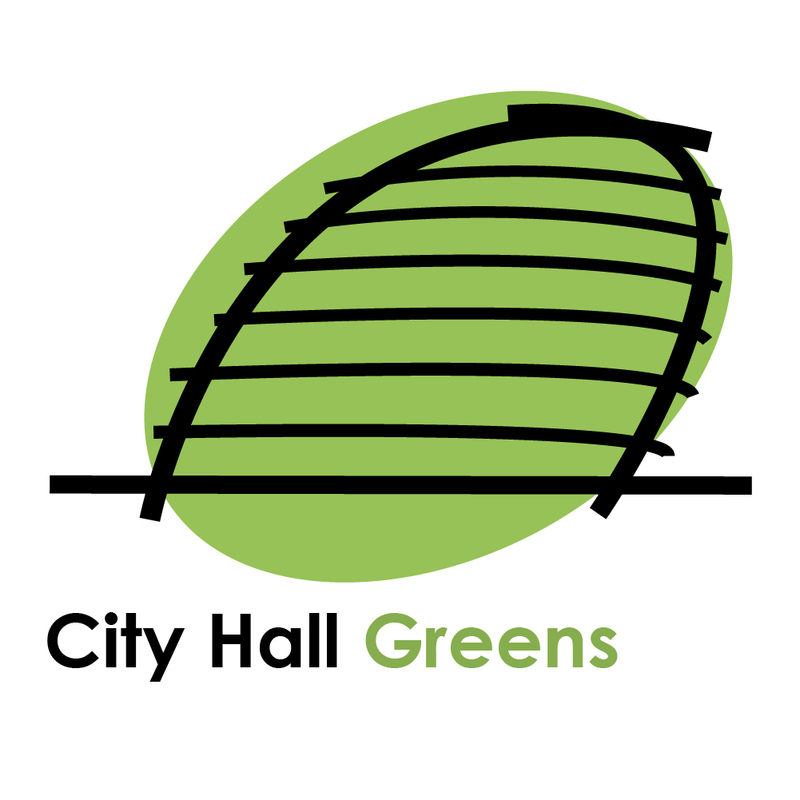 The Mayor’s new ballots policy finally came into force, but with unfair restrictions from voting for different kinds of residents, including private renters, and with several new schemes having been given planning permission in the meantime, excluding even more residents. In total more than 12,000 Londoners live on developments that have slipped through the net since the Mayor came to power with a promise not to demolish estates without resident permission. Driving out dodgy definitions of ‘affordable’. Getting stronger green energy requirements for new buildings – and measurement of embodied carbon to show the problems with demolition. Good new policies on making sure people have access to new public spaces without arbitrary rules. A higher walking and cycling target for central London and better car free housing policies. Summer holiday youth support cuts: Sian obtained new data showing big cutbacks in summer youth projects across London – she warned of false economies and called for young people to be better supported. Sian also raised the alarm over a steep rise in borough-wide stop and search orders that reduce people’s rights to know why they are being stopped, amid concerns about community confidence in policing. The Assembly and Mayor backed a People’s Vote! After a Green motion passed in the Assembly, the Mayor was quick to throw his weight behind giving people a democratic final say on Brexit. No-show homes: Sian mapped more than 30,000 missing affordable homes across London – revealing how the Mayor and Councils are falling way short of what Londoners need when negotiating with developers in planning decisions. Sexual health cuts revealed: Sian showed councils are cutting back spending on vital sexual health and contraception services. In December the Assembly backed a motion to ask the Mayor to help. Co-ops from house shares: Sian put forward a new idea to help create community housing in homes currently in the private sector with new rights for renters. Holding the Mayor to account for failing to meet housing targets – Sian publishes the annual Assembly Housing Monitor showing London is further behind than ever on providing the affordable homes Londoners need. After Grenfell, residents need more power over their homes: Sian published a major report as Housing Committee chair setting out principles for giving social housing residents a real say over their homes. Sian hosted a celebration of youth work, alongside London Youth, in City Hall, speaking about the value of youth workers as the most child-centred service focused on young people, and winning new funding from the Mayor this year. Gangs Matrix breaks the law: At the final MQT of 2018, Sian took on the Mayor for not acting sooner after he realised the illegal data collection and sharing involved in the Met’s Gangs Matrix.